“Beaux Cheveux” translates as “beautiful hair” in English and the band comprising Adrian Conner and Clementine could as easily be named “Beaux Voix” as they also have very fine voices. ‘ earlier this year. It’s nine tracks covering a variety of genres including rock and trancey-ethereal-psych; it’s got a real sixties vibe overall, but then something more. Track two, ‘You Beautiful Flame’, reminds us of Prince both lyrically and musically with its laidback guitar-oriented rhythms. Track 3, ‘Rio Grande’, which we wrote about back in February is a So-Cal feel 60s style track, with a video to match. ‘Free Love’, which follows, is fast, funky and furious. Track 5, ‘Deeper Feeling’, has a very unusual sound, like a blend of folk-country with psych. Altogether the sound is very groovy and compelling – a definite head-nodder of a track. Final song on the album, ‘Little Gold Betty’, rounds it off nicely with another bluesy number reminiscent of Alannah Myles and ‘Black Velvet’, albiet a slightly more up tempo version. 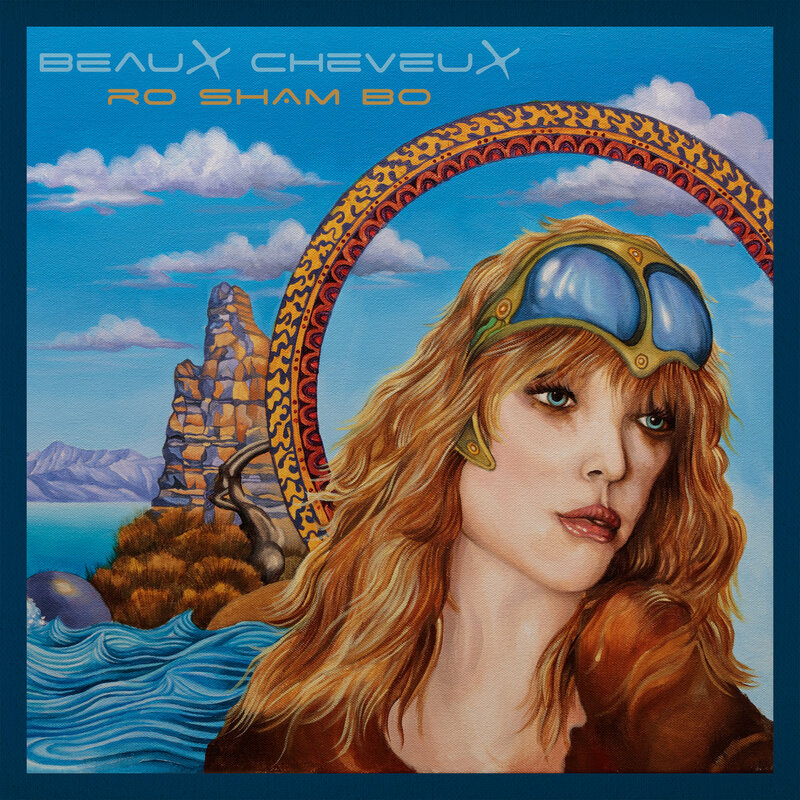 ‘RO SHAM BO’ is out now, and can be bought here. Find Beaux Cheveux online on Twitter, Facebook, and Instagram, as well as their official website.